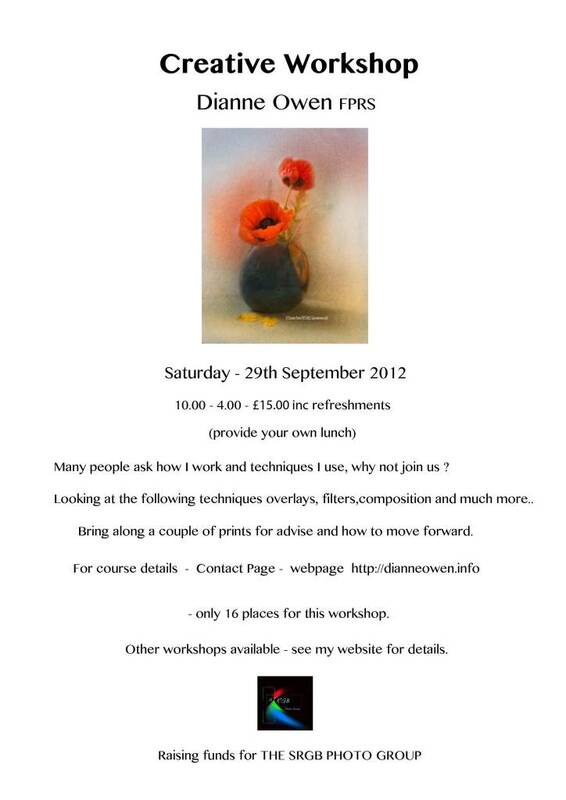 Irene attended the Taster Session at Dianne’s studio in Ainsdale on Saturday 29th Sept ….. superb! This is to be repeated on Thursday 25th October and on Saturday 3rd November – 10am until 4pm – £15 Only 16 places on each session so get in touch quickly! 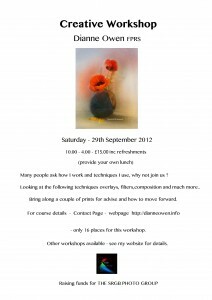 Two additional dates just announced – Thursday 29th November 2012 and Sat 8th December 2012. See Dianne’s new website for some brilliant ideas and contact her directly for further information about her one to one tutorials, small group workshops etc. I’m sure she can offer very competitive rates for small groups.